Gabriel Bestard-Ribas was fed up with carrying so much stuff in his pockets. So he decided to ditch his keys. 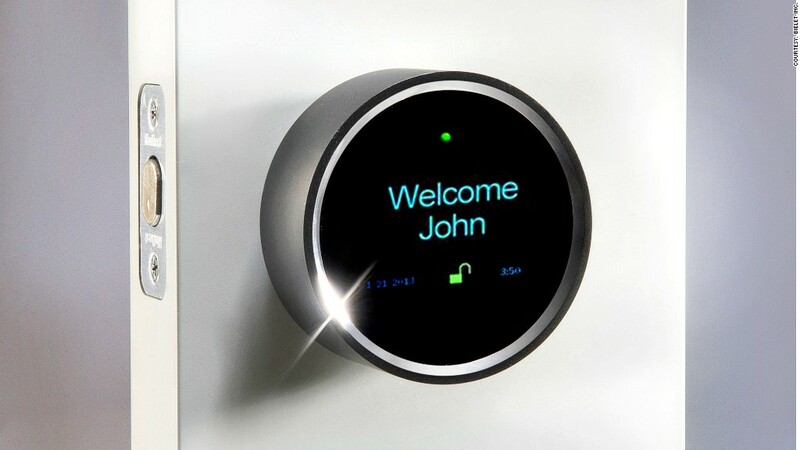 To replace them he created the Goji Smart Lock, a digital deadbolt that could be controlled through a smartphone. Goji enables you to remotely open and lock a door via a smart phone. Or you can preset the day and time to unlock the door in order to give access to people who frequently enter the home, such as a dogwalker. The lock also has a built-in camera that takes photos of everyone who is coming and going from the house. "It will also send an alert message via text or email that tells you if you have someone at the door, or even if someone is trying to break in," he said. What happens if someone steals your phone? "You can immediately cancel the electronic Goji key in your phone," said Bestard-Ribas. His startup, Bielet Inc., based in San Francisco, is producing the locks in the U.S. It's part of the "Great Gadgets" category of finalists in Wal-Mart's contest. Other contenders include Cookoo Watch, Gibi Pet Location Service and Solar Breeze. Finalists will be voted on Oct. 15.